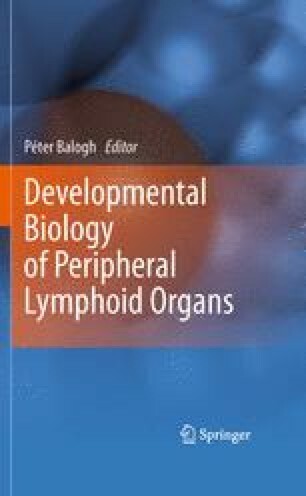 Initially described as potent soluble mediators involved in inflammation, Tumour Necrosis Factor (TNF) and lymphotoxin alpha and beta (LTα/β) are now also appreciated as cardinal morphogenic regulators in secondary lymphoid organ formation, in addition to related activities of other members of the same TNF/LT family. Their developmental effects simultaneously show both substantial overlaps and remarkable tissue-specific differences. This part details the receptor–ligand relationship and developmental roles of those members of this large group of soluble or membrane-bound cytokines that have been associated with secondary lymphoid organ formation.